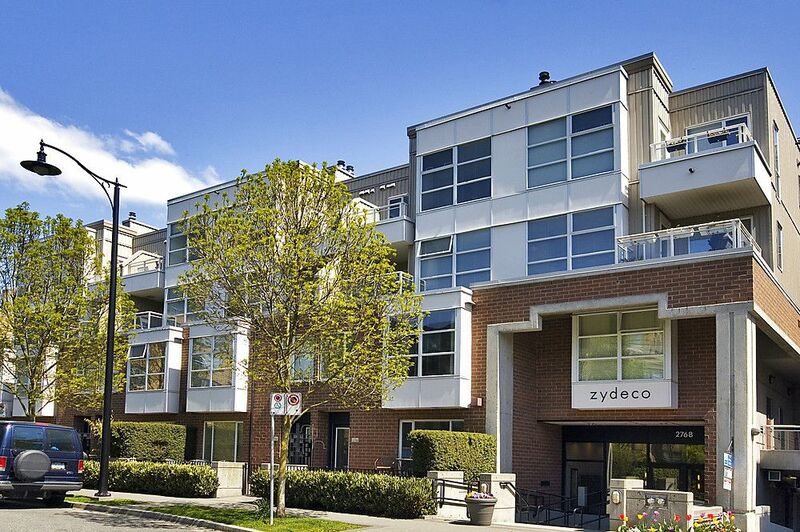 322-2768 Cranberry Dr: Serenity at ZYDECO in Arbutus Walk! Large 1 bedroom and den. This quiet suite overlooks a beautifully tree lined street with western exposure. Nice sized balcony which is perfect for BBQ. Gas f/p in living room, open kitchen with eating bar, and large master bedroom which has space for a king sized bed. Den is currently used as an office with custom built desk. Building is well maintained and pets are allowed. 1 secured parking, bike storage and ample visitor parking. Don't miss out!